Want some free white tea? Well good. 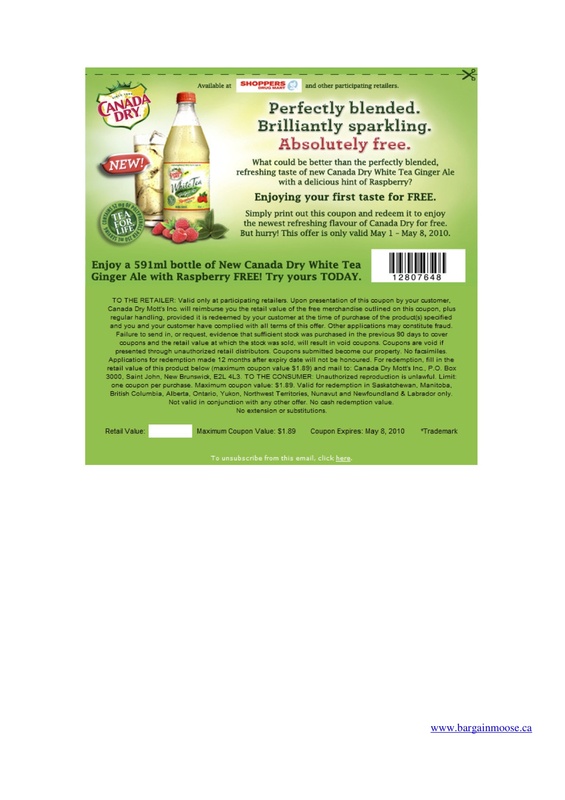 This coupon is for a free bottle of Canada Dry White Tea Ginger Ale. Simply print your coupon, take it to one of the participating stores to get your freebie. You can redeem this coupon from Shoppers Drug Mart and potentially other retailers too. You can use the coupon anytime before the 8th May 2010. T&C’s: Valid for redemption in Saskatchewan, Manitoba, British Columbia, Alberta, Ontario, Yukon, Northwest Territories, Nunavut and Newfoundland & Labrador only.